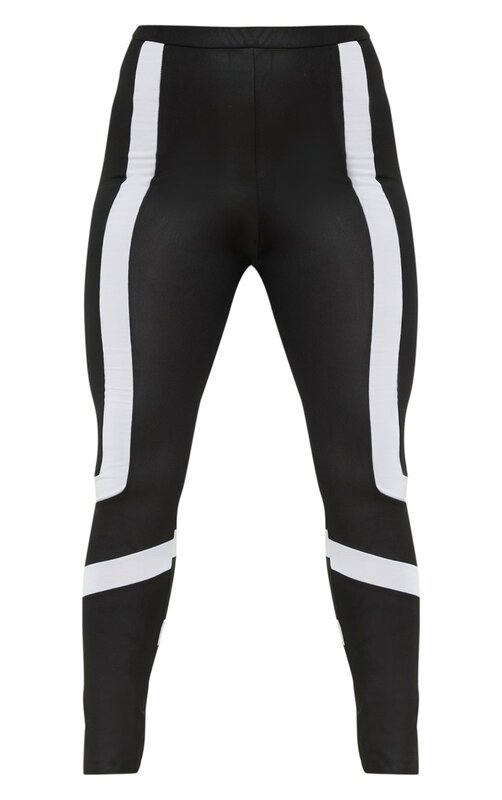 Give your look a sports luxe vibe with these leggings. Featuring a black wet look material with a contrasting panel and an elasticated waistband. Team this with a crop top and strappy heels for a day to night look.